Today at the IFA in Berlin, Germany, we were able to shoot this video comparing the newly announced DJI Mavic Pro Platinum to the original DJI Mavic Pro. Even though there is a lot of background noise in this video, you can clearly hear the difference in noise levels between the two different drones. The newly designed propellers and the new electronic speed controllers (ESC’s) help to reduce the power noise levels by 4dB. This is a 60% noise reduction when you are about 3 feet away from the drone as Seth is in this video. The newly designed ESCs apply the FOC (Field Oriented Control) technology with a sine wave drive. With the new FOC technology and dedicated 8331 noise reduction propellers, the decibel level of the Mavic Pro Platinum is decreased. What are the main differences between the Mavic Pro Platinum and Mavic Pro? 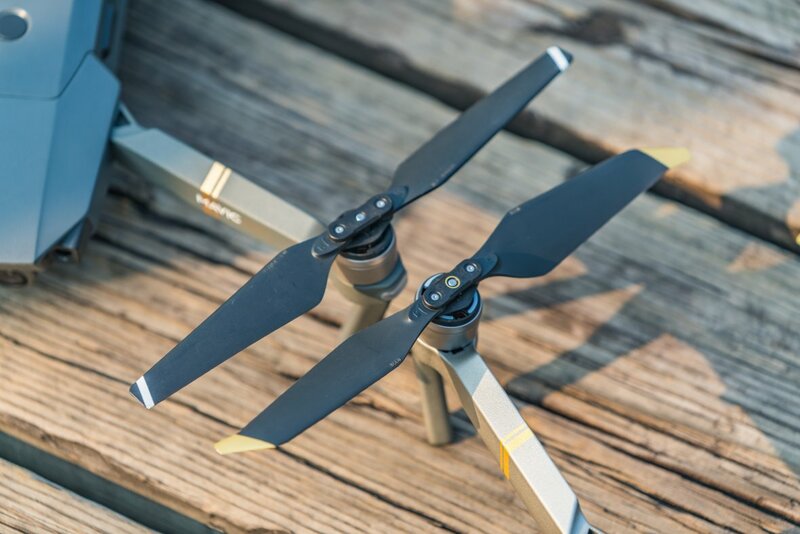 The maximum flight time of the Mavic Pro Platinum is extended to 30 minutes and the maximum hovering time is 27 minutes. The decibel level is reduced by 4 dB (60% reduction) when it is within 1 m from the aircraft. 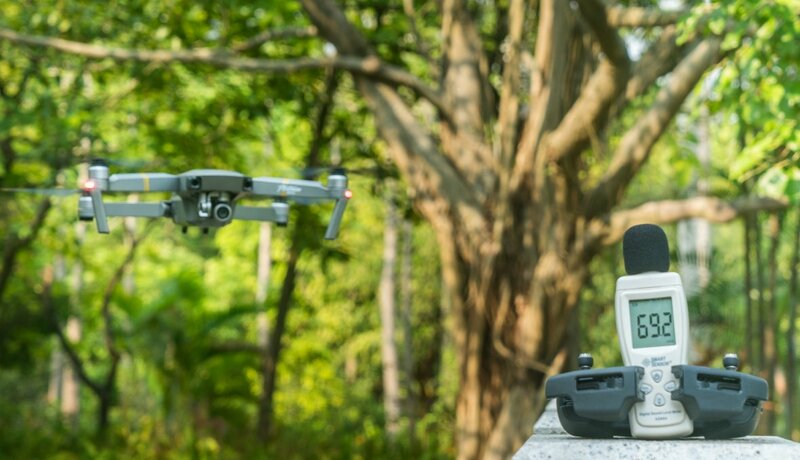 The Mavic Pro Platinum inherits all the functions of the Mavic Pro. Can the Mavic Pro Platinum’s battery be used with the Mavic Pro? Is the noise reduction effect the same as in S mode, P mode, and Tripod mode? Does the folding mechanism wear out and will it need replacing? The folding mechanism has been tested to last at least 5000 folds. It is unlikely that it will wear out during the Mavic Pro Platinum’s lifetime. Is the Mavic Pro Platinum waterproof? No. 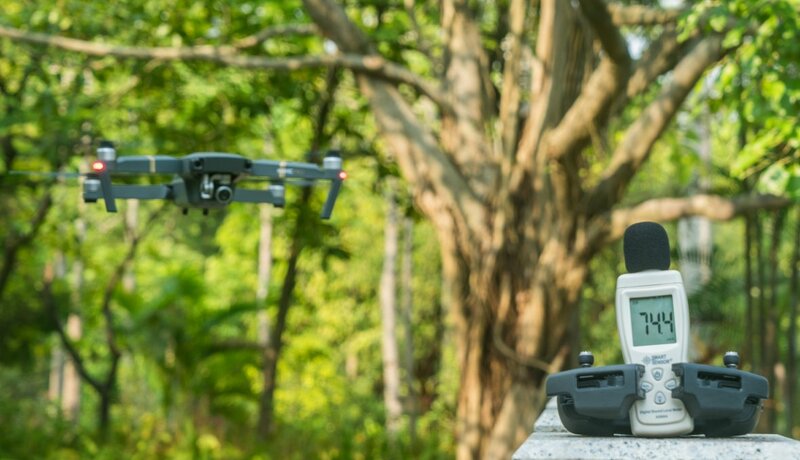 As the Mavic Pro Platinum chassis is low to the ground, only take off and land in suitable areas that are flat and free of puddles. What’s the size of the smartphones that can be mounted to the remote controller? The remote controller can fit the smartphones between 6.5-8.5mm thick and up to 160mm long, without a phone case. Phones and tablets larger than this do not fit the remote controller’s device holder. Can I use a regular USB cable to connect the mobile phone and remote controller? Yes, you can insert the regular USB cable to the USB port on the remote controller and connect the cable to the mobile phone. However, for the best user experience, we recommend that you use a dedicated RC (Remote Controller) Cable to connect your phone. Do the propellers need to be removed when in transit? Just fold the propellers and you are good to go. What happens if the propellers are not fully unfolded before the flight? Once the rotors start spinning, the centrifugal force will automatically push the propellers into the correct position, so you don’t need to worry about not having unfolded them perfectly.